Keeping the kids entertained at your wedding? How important is this? Do you remember as a kid how boring it was to go to a wedding? I do! Having to listen to what seems like hours of people talking, watching the bride have a million photos taken, all the grown ups having fun and me, as you can expect bored! I was once a bride too, I had loads of fun, as did my guests, however I actually didn’t invite any children to my special day as we didn’t have any and I remember how boring it was for me. Times have changed, families have changed. Children are attending more weddings, and well, its our job to include them and make them part of the big day! There are loads of ways to do this, you could make them activity packs to complete during the meal at the tables, perhaps try some ideas from Pintrest here or of course, they could bring their IPads…. but i’m not going to lie.They will get bored. Their parents will still need to entertain them. You will need to add more shopping and organisation to your long to do list. Wouldn’t it be nice to give them a break to? Keep your wedding breakfast childfree? What a gift you could give to the parents at your wedding. Back in the day, I used to be a wedding planner, therefore I have years of experience planning and preparing for weddings and I have seen and attended hundreds so I know that I speak from experience. This, combined with my years of working with children (and i’m a parent) make me the perfect person to understand what you need! Allows me to take the children to an adjoining room at your venue and keep them entertained with crafts, cupcake decorating and games and much more. 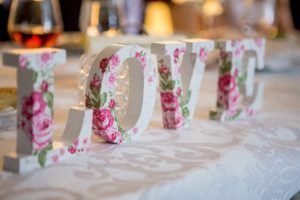 There are loads of options to suit all budgets and this can all be themed to your wedding too if you wish. Have a look at my birthday party packages for inspiration. Cake Questions →← Planning a party in Durham has never been easier!